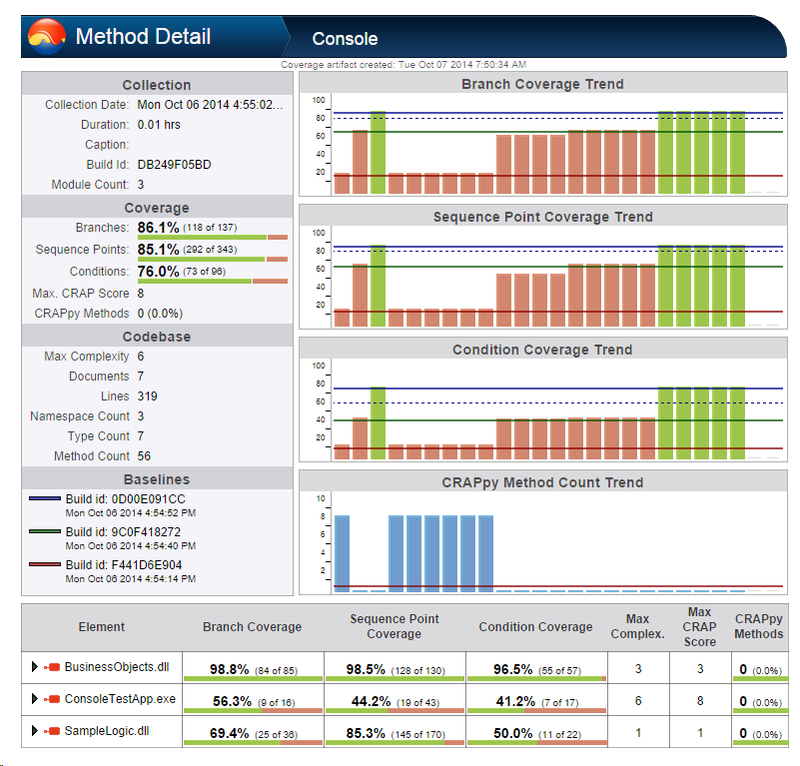 NCover can produce several self-contained HTML reports from the GUI. Simply drill into an execution to access the report button at the module view and lower. 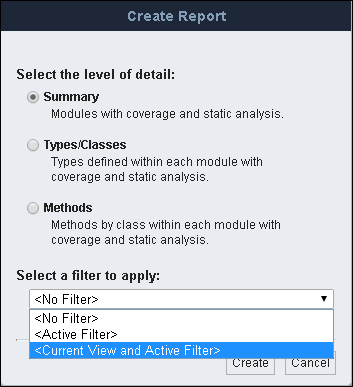 Type/Class: This report displays the static analysis and coverage data of types defined within each module. Note: Users can generate the same coverage reports from the Code Central command line. The detail reports are self-contained and do not require a link back to Code Central to access the expanded data views. These reports show the coverage results of the most recent execution by default, or an execution specified by the user. As a self-contained HTML report, this file can be shared via email or as a static web page.